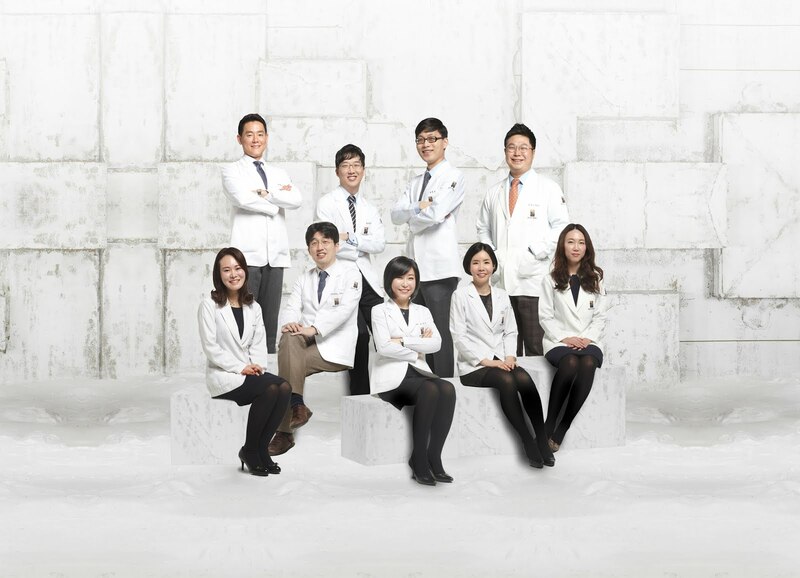 Renewme Skin Clinic: Slimmer & Smaller Face With Contouring Injections in Seoul Korea! 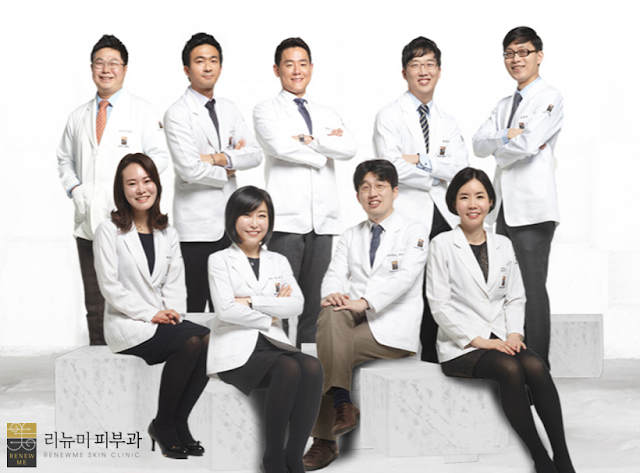 Slimmer & Smaller Face With Contouring Injections in Seoul Korea! The face, as we all probably know, is one of the most important parts we look at when judging someone's appearance or first impression. You don't decide that a person doesn't seem friendly because he or she has a birthmark near the elbow, or flabby arms, or knobbly knees - you see their face. And of course, individual features of the face (eyes, nose, mouth) all play big roles, but the overall shape and size of the face can mean a lot as well. A bulging chin or excessively fat cheeks can make your neck look short and also make you seem heavier than your actual weight. Does this sound a bit like yourself? Have no fear, contouring injections are here! Contouring Injection uses a mixture of safe solutions designed to dissolve excess fat in the skin and help you restore the long lost V-line! It is a highly recommended treatment for fixing lopsided/asymmetrical cheeks, or just a chubby face in general that doesn't seem to change even with a healthy diet or tons of exercise. One of the biggest advantages about the contouring injection is that it is non-surgical, meaning that there is little to no downtime! Plus, the procedure time is also much shorter than surgery, making it a possible lunchtime treatment as well! 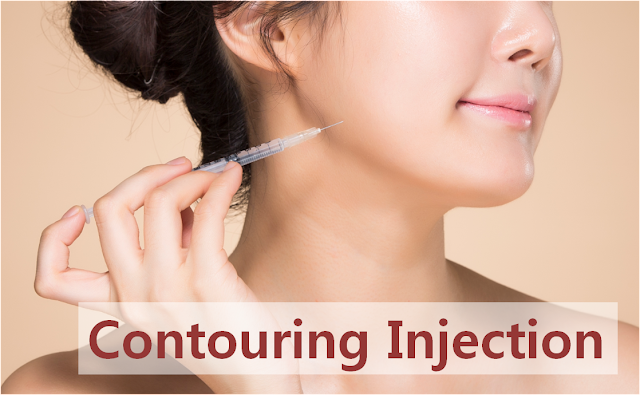 So for those of you who were a bit apprehensive or against surgical procedures, contouring injection is for you. As simple as it may seem, this injection still requires skill and a sharp eye for you to achieve natural and satisfactory results, especially since it is done directly on the face. Therefore, make sure a board-certified dermatology specialist who has extensive knowledge of the skin is the one to treat your face, whether it be something fairly simple like contouring injections, or even botox/fillers, and most certainly treatments for pigmentation or anti-aging! Contouring injection is divided into three areas, prices being charged per area. 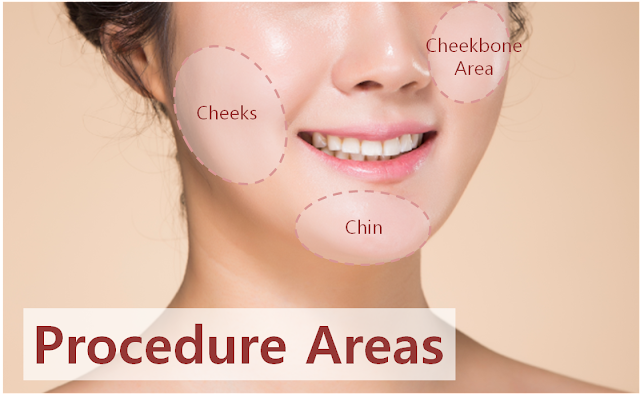 However, this is just a general guideline; once you consult the doctor you can decide the exact parts of the face that concern you the most, before you head on to the procedure. A combination of the two treatments mean a slimmer AND tighter facial line! That's what a real V-line is all about! 1. Slight swelling is normal. 2. Avoid drinking/smoking on the day of procedure. 3. Avoid sauna and hot baths for about one week. 4. Light exercising can help improve the results.